It is July. Well into the month, in fact. I woke up this morning very eager to get a jump-start on the day. Coffee doesn’t brew itself ya know? Is there anyone else out there who, contrary to countless snarky T-shirts and internet memes, loves Mondays as much as I do? This morning, as I hopped up and out of bed, flicked on the coffee maker and doused my face with a big ol’ tub of coconut oil, I realized that we have yet to share the recipe for one of my most favorite breakfasts. Even though it’s only 7 am, the temperature in Los Angeles is already 75Â° F. While there is absolutely no debate on whether a huge cup of scalding black coffee is a good idea during the summer months, breakfast can be tweaked to suit the season. A big frozen smoothie it is. My favorite recipe, one that is both delicious and packed with amazing ingredients, is fairly simple. 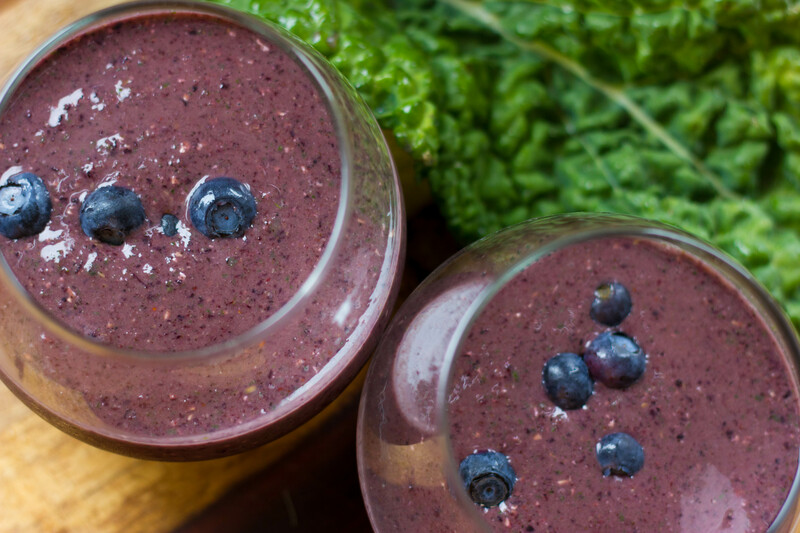 Not to sweet, a bit green, and best when sipped through a Glass Dharma, zero-waste straw, this smoothie packs tons of energy and still leaves you light on your feet for sprinting outside as soon as is humanly possible to enjoy the grand outdoors. Can you tell I’m excited? Kale, one of the aforementioned superfoods, is really, really good for you. There is a multitude of reasons why this veggie has such a cult-like following. Packed with 684% of our daily requirement of the antioxidant vitamin K, kale arms us against a host of diseases and helps to prevent the growth of cancer. It is also very high in fiber which will keep you full and energized through the morning. 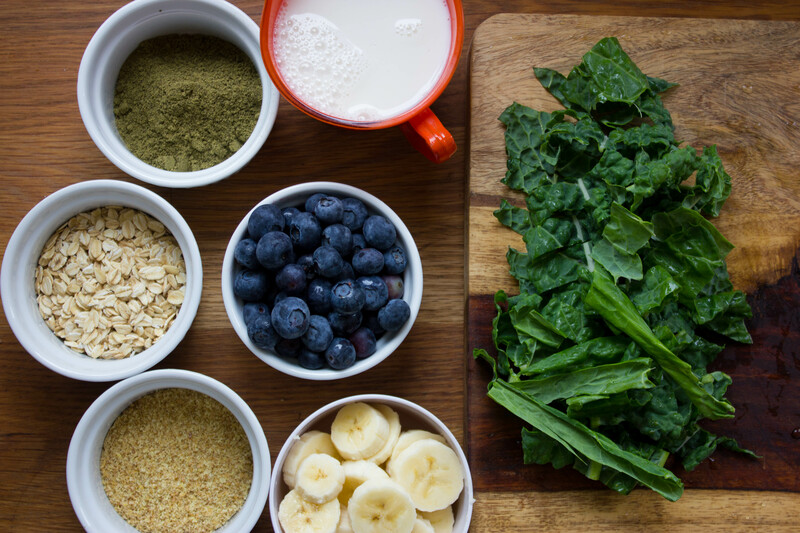 I’m not one to reach for a salad for breakfast though; adding kale to a morning smoothie is a greatÂ way to incorporate the cruciferous leaves into your morning ritual. While there are heaps of protein powders out there (and tons of debate about consuming any of them at all) hemp protein is the least processed of the plant-based powders. It contains all 20 essential and non-essential amino acids, alkalizing chlorophyll, alpha-linolenic and linoleic acid, and is entirely vegan and gluten-free. Hemp seeds and powder are not stable at high temperatures, however, so their incorporation into cold beverages is ideal. While there is some debate in the vegan world about the necessity of supplementing with protein powders at all, I personally feel at my best when I add a few tablespoons to breakfast. This recipe is meant to be played with. Add more frozen bananas and less water for a thicker, ice cream-like consistency. If you want more greens, add some spinach as well. 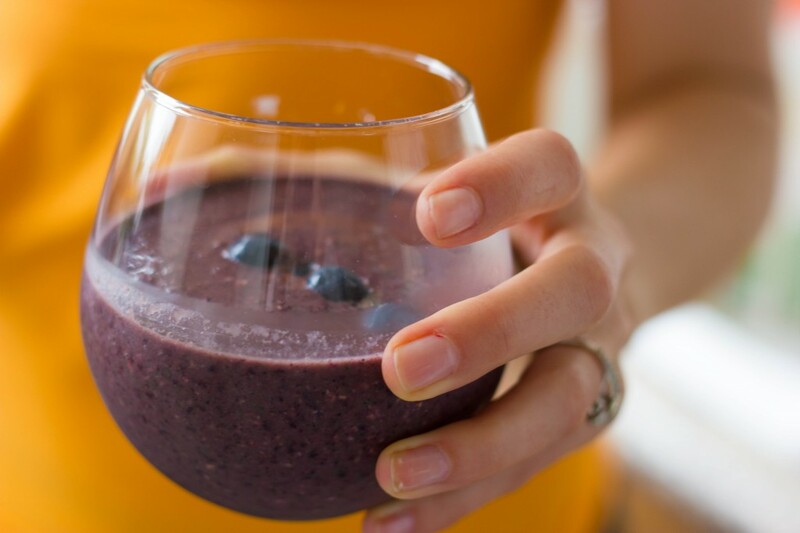 Blend the kale and almond milk Â in a high-speed blender (or plastic container suitable for use with an immersion blender, if that’s what you’re working with). Add the rest of the ingredients and blend on high until desired consistency is reached. Pour into a big glass and guzzle.